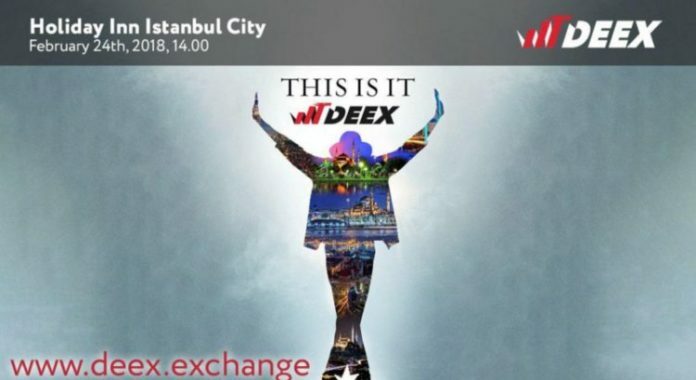 On February 24rd, the first DEEX conference was held in Turkey, Istanbul. DEEX is the main sponsor of series of the blockchain cryptoconferences and has been conducting its road show since January. So, Philippines was the first stop. Then was the cultural capital of Russia — St. Petersburg city. After that — the world capital of banking and finance — Geneva. The event in Turkey was the final stop of our ICO road show and it was done exclusively for our respected Turkish crypto community! “Turkish people have always been independent and enterprising! They were always ready to work with each other directly, bypassing centralized intermediary institutions. Originated on the East several thousand years ago, the financial system of mutual settlements «hawala» successfully and reliably works without unnecessary financial intermediaries. Cryptocurrency and blockchain have become the evolutionary heir of this system. Today Turkey has all chances to become a global blockchain and a cryptocurrency orb! 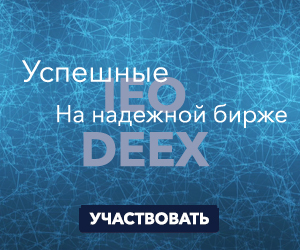 “- said the CEO of DEEX Vlad Sapozhnikov. The Turkish community of the main decentralized DEEX ecosystem is one of the most active and numerous, and therefore the conference hall of the Holiday Inn İstanbul City in the Topkapi district could hardly accommodate all those wishing to communicate with representatives of DEEX. In addition to the DEEX presentation and the report on the superiority of decentralized cryptocurrency systems, the guests of the event were expected to receive several pleasant surprises: a live performance of Michael Jackson’s double and a all-to-win lottery in which deex tokens, cryptoAtMs discounts and branded T-shirts were played. By the way, Michael Jackson’s double performance was made by one of our investors and friends Tuncay Özcan whom we want say thank for the support and trust! Incendiary composition «They don’t really care about us» can be safely regarded as the anthem of a decentralized future, in which DEEX will take the lead role, caring for everyone who is ready to share the values ​​of the new digital economy! They (centralized governments) really do not care about us! DEEX really cares about us! Centralized systems do not care about anyone or anything, except themselves, so one of the main tasks of DEEX is to unite the entire crypto community. The drawing of valuable prizes became an excellent opportunity for our Turkish friends to get deex tokens to replenish personal accounts. In the near future we will conduct the results of the lottery and enroll the awards to all who participated in the it. We also remind you that DEEX ICO will end in a few days — February 28th. If you have not yet become holders of the digital currency of the project, it’s time to make this year’s major investment. Participation in ICO will allow you not only to become part of a decentralized future, but also to make profit from investing in a new digital economy project. We can describe the impressions of the Istanbul conference for a long time, but it’s better to see once than hear a hundred times! The official Instagram page instagram will give you the opportunity to view the photos of this historic event, and on the YouTube you will find several videos recorded during the conference.